Raaga.com: Will the adorable Gabbar Singh help Akshay Kumar starrer GABBAR IS BACK in a descent opening? Will the adorable Gabbar Singh help Akshay Kumar starrer GABBAR IS BACK in a descent opening? With Akshay Kumar starrer GABBAR IS BACK the iconic villain Gabbar Singh is getting a new lease of life. In fact in the recent past negative characters have been ruling the roost. Ragaa.Com finds how negative characters have had an edge in Bollywood. Negative characters have always been the backbone of the Indian cinema. In the 50’s and 60’s eminent villain Pran was so much in demand that many a times producers paid much more to him than the film’s hero. Likewise in the 70’s the villain that took the audience by their feat was Shatrughan Sinha. His mesmerism style and dialogue delivery left even the hero on back front. In fact he was the first villain in Indian Cinema for whom the audience welcomed him with whistles and thunderous applause. It was his popularity that producers soon made him the hero. The younger generation may not know but the fact is South Sensation Rajinikanth was inspired by Shatrughan Sinha and even today regards him as his guru! 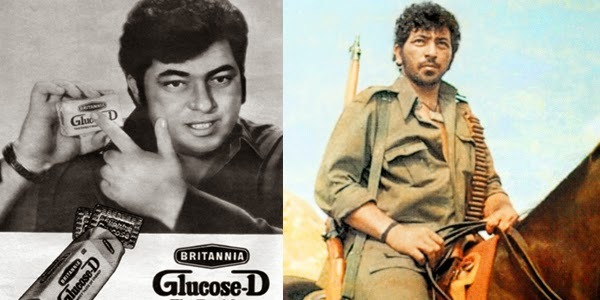 However, the most iconic villain till date is unarguably, none other, but Gabbar Singh aka Amjad Khan. His popularity can be gauged from the fact 40 years after the release of the movie his fans remember him not by his name but by his character Gabbar Singh. 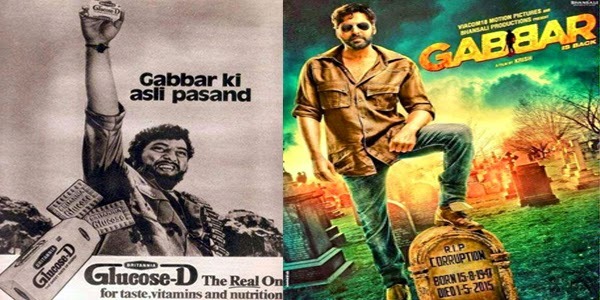 Another distinction that Gabbar Singh added to the infamous villain is that he became one of the first villains to be roped in by advertising agencies to exploit his popularity in selling products. Any guess for which product would Gabbar Singh have been employed? Well no, he was not hired for a cigarette commercial or a hard drink product; instead he was hired to promote biscuits!!! Yes he was the brand ambassador for Britannia Glucose D Biscuits and believe it or not the advertisement campaign gave a major boost to Britannia Glucose D biscuits. After all Gabbar Singh was not the just the darling of the adults but even the children adored him! But the million dollar question will the adorable Gabbar Singh, help Akshay Kumar starer GABBAR IS BACK in a descent opening?